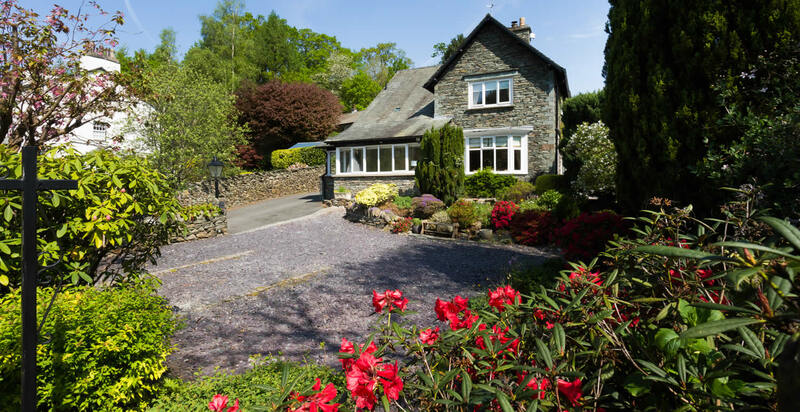 Far Nook is a traditionally built detached Lakeland stone property set in its own grounds only a five minute walk from the centre of Ambleside and all its facilities including shops, restaurants, visitor attractions and even a cinema. 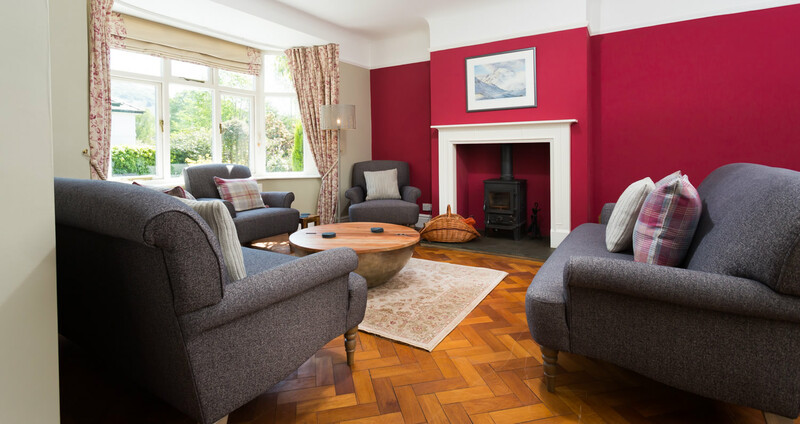 The house has been arranged with our guests' comfort in mind with four individual bedrooms and bathrooms, two lounges, a well-equipped kitchen/diner with views over beautiful landscaped gardens. Many walks can be enjoyed from our front door including The Fairfield Horseshoe, Loughrigg Fell, Wansfell, Red Screes, The Coffin Trail and many more. We have safe storage for bikes and drying facilities for wet weather clothing. Far Nook has private off road parking available for all guests and we are only 300 yards from the nearest bus stop. 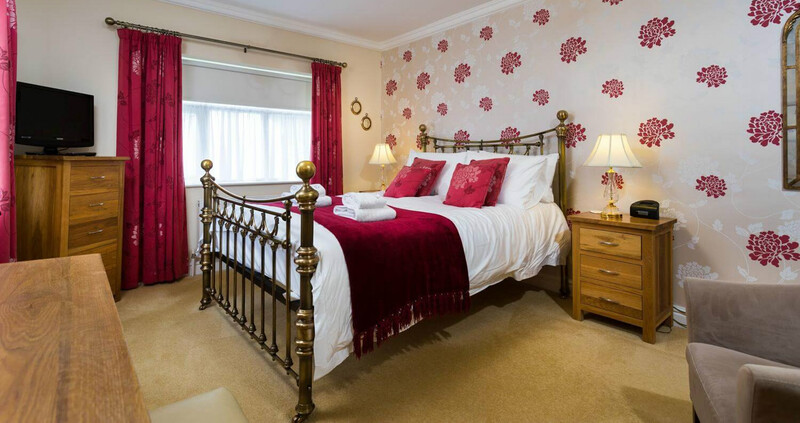 Far Nook offers a choice of four bedrooms including two kingsize en-suite rooms, a twin en-suite and a double room with private facilities. The public rooms available at Far Nook include a large dining kitchen area, lounge with wood burning stove, TV lounge, sun room, office and utility. We have a lovely garden at Far Nook, which changes with the seasons. We encourage our guests to relax and enjoy our garden during their stay. 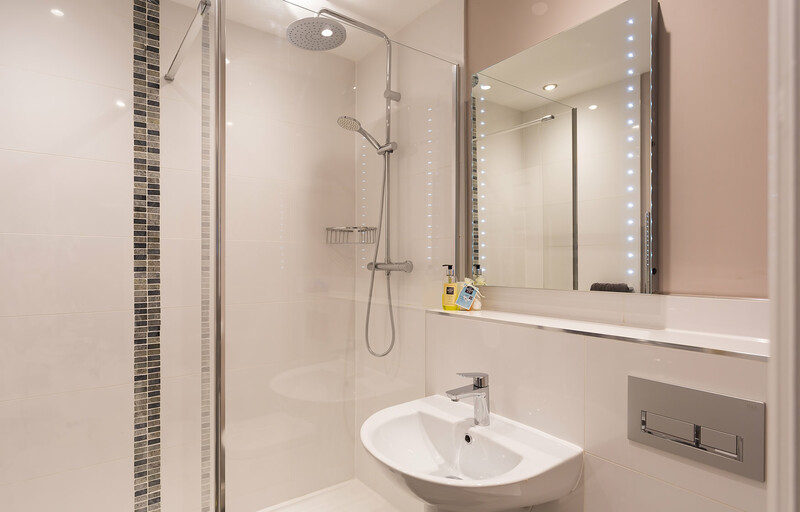 Just a five-minute walk from the centre of Ambleside with all of its amenities including shops, restaurants, visitor attractions and cinema. Lake Windermere is 1 mile away.